Finding the right homebuilder can be a tough job for a new home buyer, especially when you want it to be a custom home for infill housing. Larger scale homebuilders offer very limited choices on how you can customize your home and focus on quantity, with an acceptable degree of quality. This is a somewhat safer option for new homeowners, but what about a “Custom home”? Working with the right builder to create a unique home to your degree of quality can be also be a challenge. A good homebuilder must know what it takes to make a masterpiece; every custom home is a work of art, designed specially to the needs of the client. The builder must be able, while coordinating with architects and designers together, to make sure from a construction perspective that things can be executed properly. Get every contract in writing. The homebuilder must understand that time is money when doing a project, and be able to clearly hear the voices of the homeowners. Above all, a good homebuilder is resourceful, and not afraid to get creative when solving complex spatial problems. All the people that work with us should be of the same mindset, consistent and just as sensitive to the homeowners needs as the builder. Collaboration and communication is a top priority! And above all? Always hire a homebuilder on their results. A homebuilder should be able to plan to a fault but ask for flexibility. It is inevitable that it will rain when it is supposed to shine sometimes. We try to plan every detail, but unexpected things do happen that nobody can predict. You want a builder who’s willing to refine plans where possible, so that when the inevitable occurs, he’ll be able to come up with creative alternatives. Any builder that gives you a promise of a deadline that is earlier than other builders is a sign that you should RUN AWAY! 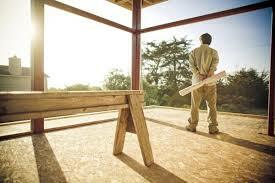 Protect yourself by going with a certified Tarion™ builder for insurance and quality needs. A bigger builder does NOT mean better. The best custom homebuilder will be the one that has the time to devote to their client’s needs and will be thinking about your home until it is complete, on or off the job. By the end of the project our homeowners aren’t just clients, but our friends.